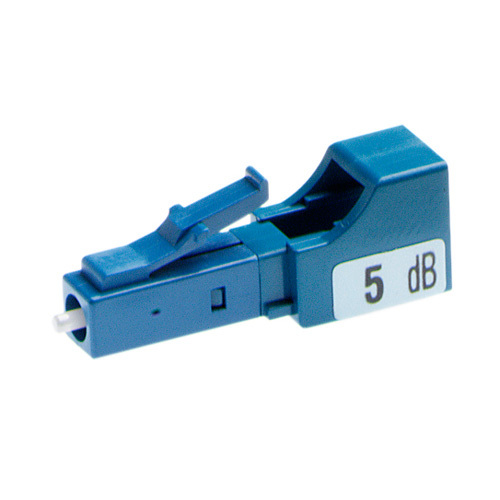 LC fiber optic attenuator is a passive device used to reduce the amplitude of a light signal without significantly changing the wave form itself. LC small form fiber optic attenuators are UPC and APC types, to fit for the according LC connectors. LC fiber optic attenuators are used in Dense Wave Division Multiplexing (DWDM) and Erbium Doped Fiber Amplifier (EDFA) applications where the receiver cannot accept the signal generated from a high-power light source. They are constructed of the highest quality materials and every piece is tested during production. Our LC attenuators are manufactured and tested according to the industrial standards and they are 100% compatible to use with equipment and components from other suppliers.